When it comes to choosing a diet for your horse it can seem extremeley overwhelming, even if you’ve been around horses your whole life. The moment you step into the store, you are surrounded by bags of all different shapes, sizes and colours, each of which being a different horse feed option. As you wonder through the store and look at all of the different bags of feed, it can become increasingly difficult in terms of which option is best for your horse. That being said, just because the multiple bags of horse feed make it look a little complicated to choose a horse feed, that doesn’t mean it has to be. What you opt to feed your horse is up to you, it’s just a case of determining which option is best for your four-legged friend. Bearing that in mind, below are some tips and pieces of advice that should help to make the process of choosing the right feed for your horse a little easier and less stressful. 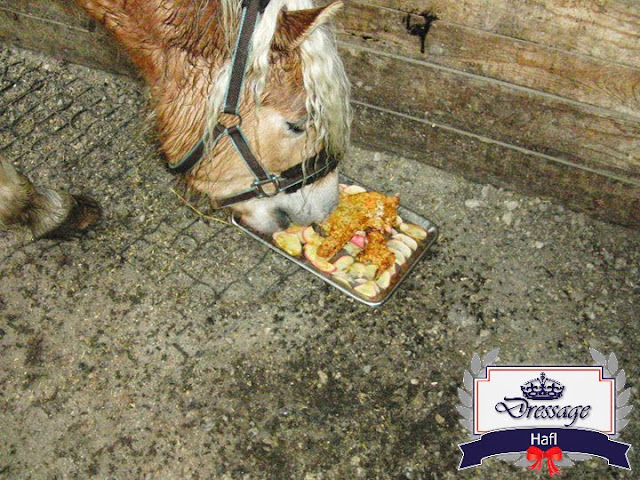 When it comes to choosing the best food for your horse, it’s important to ensure that you take its age into account. This is important because the age of a horse has an impact on what specific nutrients and dietary requirements it may have. For instance, if the horse is fairly young, his dietary requirements are linked to growth and he tends to require more energy than an older horse. The nutrional demands of growth are extremely high, which is why most feeds designed for growing horses tend to have protein of between 14 and 16 percent. Other nutrients, including mineralsand vitamins also need to be increased in food designed for young horses to help support their growth. 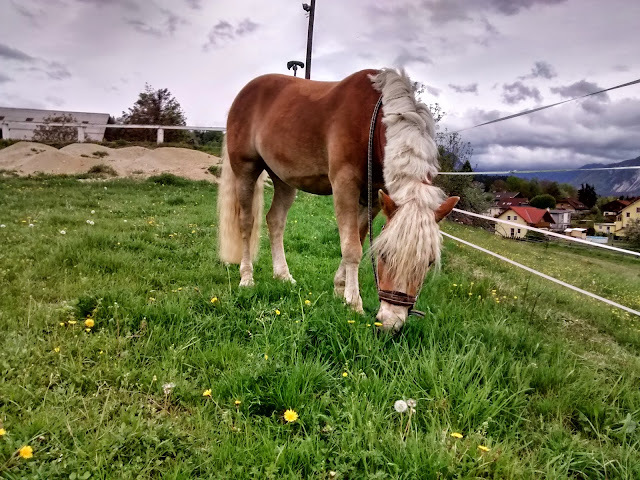 Whereas when it comes to older horses, a horse isn’t considered senior until it is no longer able to maintain the same body condition on the same adult diet. This shows that the horse has become senior and requires a specific senior diet as a result, to ensure that he remains healthy. Many foods designed for older horses are made to be easy to chew and easy to digest, they also have a high fibre content. What is the horse’s bodyweight? If you don’t have access to scales for your horse, your next option could be to get your vet to weigh your horse when they next pay a visit. Another option is the use of a weight tape to estimate your horse’s weight. To measure your horse’s weight, all you need to do is measure the length of the horse from the shoulder to the buttock, and then you also measure the heart girth. To estimate your horse’s weight, you need to do the following equation: heart girth (cm) x heart girth (cm) x length (cm) divided by 11,900 = weight in kg. Another useful tool when it comes to determining a horse’s food needs is also body conditioning score (BCS). A horse’s body conditioning score involves the palpation and visual assessment of various areas of the horse, looking at which areas have fat on them, such as the ribs, neck, and behind the shoulders. How a horse is scored is done using a scale of one to nine, where one means the horse is extremely underweight and nine means the horse is obese. Regular BCS will help you to ensure that your horse is on the right horse feed. What forage is available for your horse? Forage includes types of hay and pasture and also forage rye, is meant to be the foundation of the equine diet. The idea is that the feed you choose should complement the forage that is already available to your horse. For instance, if your horse has access to quality pasture and hay, you will need to feed less concentrate to help reach the horse’s nutritional requirements. Of course, this will also depend on the horse’s activity levels. There you have it, a guide to everything that you need to know about you should go about choosing the best diet for your horse. There are various options to choose from when it comes to your horse’s diet, so finding the right one is not always an easy task. However, the guide above should help to make the process a little easier and less stressful. It’s also important to bear in mind that if you’re ever unsure about what to feed your horse, it’s important to consult your vet, as he or she should be able to help you determine what diet would be the best fit for your equine friend.